Study the lives of early church holy women along with Dr. Kimberly Majeski in the eternal city of Rome! 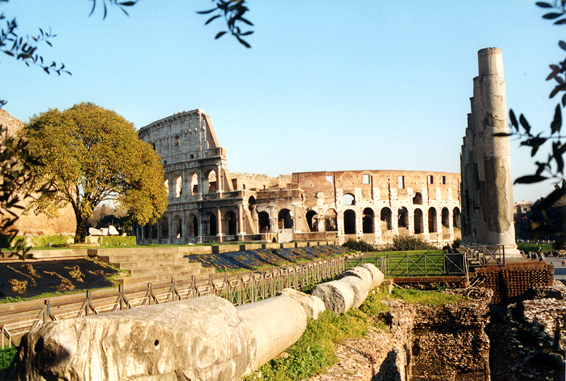 This custom tour is a once in a lifetime opportunity to experience up close and personally the stories and sites of the early Christian era.Excursions to gorgeous Ostia and epic Pompeii bookend this trip! Thursday, August 4 : Arrive at four star hotel in the heart of the city. The group will meet this evening all together for a quick orientation and devotion before an early restful night. Friday, August 5 : In the morning, we'll take a half day tour of the Vatican Museum and St. Peter’s Basilica, talking along the way of the women who have impacted our faith through the Roman Catholic tradition. We'll also have an overview of the layout of the city. In the afternoon, we'll have some free time to rest at the hotel or explore the city on our own a little bit, depending on how the jetlag is affecting each of us. Saturday, August 6 : Today we'll have a full day tour of San Clemente, the Colosseum & Forum, Saint Peter in Chains, and the ancient Roman Catacombs. This day will include a fair amount of walking as we'll see a lot of the city. Sunday, August 7 : Now that we'll have a good feel for the way the city is laid out, we'll have a full day free to explore on our own. Kimberly will lead a group of whoever wants to go, to shop some of the smaller boutique stores and souvenir shops, sit and enjoy a relaxing cappuccino while watching the people pass by, and take a moment to remember all that we've seen so far. Monday, August 8 : In the morning, we'll board a deluxe motorcoach for a full day trip to ancient Pompeii, famously destroyed during a volcanic eruption of Mt Vesuvius in 79 AD. A fully guided tour of this well-preserved site will give us a sense of how women in the ancient world really lived. We'll return to our hotel in Rome this evening and have dinner in the city. Tuesday, August 9 : Today, we'll have another bigger walking day, with a walking tour of Navona Square, the Pantheon, and the Trevi fountain. In the late morning, we'll have a true Italian cooking class, after which we'll eat the delicious food we've prepared! The afternoon is free for last souvenir shopping and some rest after the walking tour. Wednesday, August 10 : We'll board the bus again today to take a day trip to visit the ancient city on the water: Ostia Antica. We'll connect the dots with all the things we've seen along the way and have final moments together before returning to our hotel in Rome. Space is limited!! Contact us today and send your fully refundable deposit to reserve your space! Registrations for Kimberly's trips fill-up quickly; sign-up today!